If you’re interested in joining some music enthusiasts for a day- and night-long ride on a tricked out motor coach from Savannah to Macon for Bragg Jam on 7/26, click here. The folks at Savannah Stopover/Revival Fest/MusicFile Productions have organized the excursion, and hissing lawns has joined the effort as a “co-host”. In addition to spending the day co-hosting, we will be providing some pre- and post-coverage of Bragg Jam, which features 57 bands on 14 different stages in the space of about 12 hours. So this Spotify playlist has fewer than 1/3rd of the bands that will be playing, but we think you’ll enjoy it anyway. 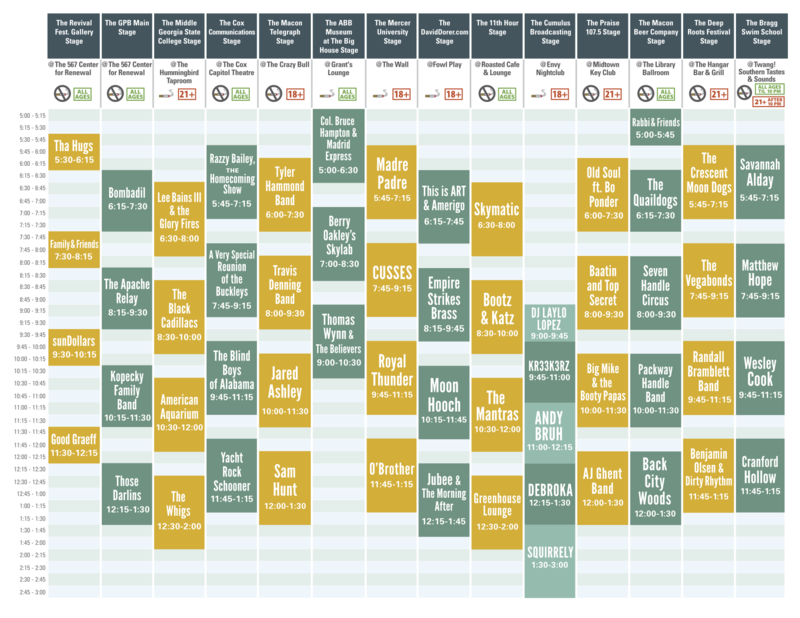 Click here to see the detailed schedule, and if you’re on Spotify, you might want to follow hissinglawns (one word).